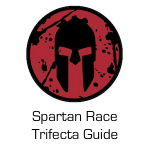 Another great thing about Spartan Races is that they always use the natural landscape as an “obstacle.” For instance, the 2016 Pittsburgh Spartan Sprint took advantage of the mines by having racers navigate through the dark mountain mines as a part of the course. Of course, at any Spartan Race, the weather will be a factor. 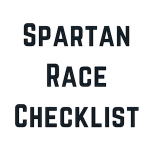 Whether it’s rain on the east coast making for some poor footing, or heat in the southwest, Spartan is always finding creative ways to challenge it’s racers. With all that said… there are some recurring obstacles you will see from race to race and year to year. 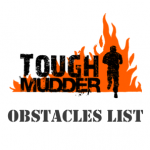 We listed a few of the obstacles below, as well as quick tips on how to beat each one. For some, there are different ways men and women might want to attack an obstacle. Other obstacles are more or less the same for both sexes. Above all else, the key is determination. The signature obstacle at Spartan Race, the Spear Throw is a test of athleticism and concentration. To nail the Spear Throw, make sure you have plenty of slack on the line attached to the spear. Take a deep breath and find a good balance point on the spear. Aim higher than you think. Step directly toward the target with the foot opposite your throwing hand and give the spear a firm throw. This obstacle you’ll see at most Spartan Races, but rarely will you see the same kind of crawl twice. Sometimes it’s uphill, sometimes it’s through mud or rugged ground. I’ve seen barbed wire crawls longer than a football field, and others where there are two back to back. The key is to find what is most comfortable to you, either army crawling or rolling, and keep moving! Make sure you take a second here and there to check your direction, but otherwise, the trick is to keep going! For many, the Hercules Hoist (or Herc Hoist) is one of the most difficult obstacles to master because it involves grip strength, upper body strength, and technique. The obstacle is just a giant rope and pulley system, where the sandbag on the other end can weight up to 150 pounds (for guys), and is often times wet if the weather isn’t cooperating. The trick here is to get a good grip and use the bottom of the rail in front of you to anchor your feet. Lean back and drive your legs to lift the bag into the air. Climb your hands up the rope a bit, and lean and pull again. Rinse and repeat until the bag reaches the top! Remember doing monkey bars as a kid and how effortlessly you could swing from one end to the other? Trust me, those days are gone! 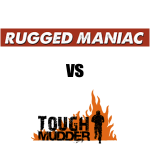 Spartan Race is always toying with different ways to make rigs more fun and more challenging. Don’t be surprised to see things like bowling pins and baseballs alongside vertical ropes, horizontal poles, and declines/inclines on Spartan Race rigs. There is even a new rig this year called “Twister,” which adds rotating grips to the rig rotation. Most Spartan Races feature some variations of the “O-U-T,” or “Over-Under-Through.” Creativity is left up to the course designer to find a way to stack three “easier” obstacles in a row, and have racers go over something, under something, and through something. Often times, you’ll find these in muddy areas which is Spartan’s way of getting your hands wet before some kind of a grip obstacle. Vertical walls are present at every Spartan Race, and they’re a great test of agility and upper body strength. Knowing how to get over these quickly is a key way racers get ahead in a race, and knowing the proper technique will save you energy you’ll need later in the race. The goal is to get your elbow and forearm on top of the wall holding your body weight up. On taller walls, you might need to grab the top of the wall and pull yourself into position. Once you can rest your weight on your forearm, swing your leg up to the top of the wall and pull yourself over. A common mistake is to use too much upper body, which fatigues racers quickly. Many women use a different technique altogether. They start by charging at the wall with a good amount of pace, and leap into the wall allowing their feet to hit first. Use that momentum to drive your feet and push your body up to where you can grab the top of the wall. Hold on, slowly walk your feet up until you can throw your leg over. The inverted wall is a bit more technical than the vertical wall, but with the right technique, anyone can get over this. Get a good base with your foot against one of the 2×4 boards at the bottom of the wall. Push up from your footing and grab ahold of the top of the wall. Try to get your forearm on the other side of the wall, and using the same strategy as the vertical wall, throw your leg over the wall and pull yourself over. Again for women, if you can get a grip on top of the wall early, use same “walking climb” strategy as you would for vertical wall to get over. Nothing too technical or hard to understand about this one. It’s a big cargo net you climb up one side at about a 45 degree angle, and descend down the other. Do your best to take small steps and keep your hands and feet working. At the top, get a good grip with your hands and throw your feet over. Keep your concentration on your feet as you work your way down. The vertical cargo net us less visually intimidating that the angled cargo net, since it’s never as high, but getting over the crest can be difficult if you don’t know what you’re doing. Climb up like a ladder, and grab on to the top once you reach it. Try to keep one foot locked into one side as you swing your leg over to the other and find footing. Be careful not to “rest” on top while you’re straddling the net, as other racers will be pulling on the cargo net and it can shift, causing male racers some unexpected pain! Another technical obstacle that gets easier the more you practice, the rope climb is sometimes over water and sometimes over dry land. Jump up and grab the rope while simultaneously getting your feet into a “J-Hook” hold. To execute the J-Hook, you’ll want the rope to run along the outside of one of your legs. With your foot opposite of the leg the rope is running down, reach for the rope and pull it under the opposite foot (same foot that rope is running down the leg). If done properly, the rope should run down the outside of one leg, form the “J” by going underneath one foot while resting on top of your opposite foot. This should allow you to stand on the rope if there is enough slack at the bottom of the rope. Once here, you can again reach up and repeat the process. Atlas Balls are another heavy carry Spartan Race obstacle that tests your grip and upper body strength. You start at one end of a field and pick up the stone, carry it to the other end, and do 5-10 burpees. You then pick the stone up and carry it back, ending on another 5-10 burpees. While not the most challenging obstacle you’ll face all day, you still want to protect your back by using your legs when picking up the stone. Hold it close to your body, and take small steps to ensure good balance. This angled wall usually follows a water element and tests your balance and ability to power up a wall. This is where having a good pair of Spartan Race shoes to wear comes in handy. You’ll notice there is usually a rope hanging from the top of the wall, which you’ll use to grab and pull yourself to the top. 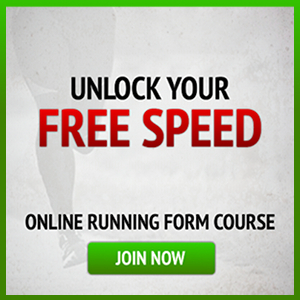 To get there, run at the wall with as much speed as you can, and keep running once you hit the wall. Keep your balance, and reach for the rope. Once you get ahold of that, just lean back and walk yourself up and over the wall. There are a few heavy carry Spartan Race obstacles, like Bucket Brigade (bucket full of rocks), sandbag carry (sometimes more than one sandbag), or heavy log carry. Sometimes Spartan will have you carry these heavy items up or down hills, or through deep water up to your knees. While what you carry often changes, having a good grip strength and being able to adjust on the fly are key in completing this obstacle. There is no “best way,” but holding the bucket or log close to your body is the best way to prevent grip or arm strength fatigue. Similar to the Herc Hoist, only on flat ground. There is a tire of sled attached to a long rope, and you position yourself across a field from it and just drag it to you. A lot of times there is a pole or wood block you can use as leverage. There isn’t much to this element other than good upper body strength. Remember to reach as far down the rope as you can, use your footing, and drive back and pull. The fewer pulls you make, the less you will wear out your arms and grip. Rock climbers will enjoy this obstacle, but it’s one that forces a lot of people to do burpees. There is a series of four or five walls set up in a zig-zag pattern with 2×4 blocks on either side. Racers pick a side, and have to scale the wall horizontally, going around edges and long stretches until they complete the obstacle. The trick is you can only use the 2×4 blocks, and can’t grab the top of the wall. There is a saying in rock climbing that holds true in this obstacle, which is “always have three points of contact on the wall at all times.” Keep your body as close to the wall as possible, maintain good grip and footing, and move slow. 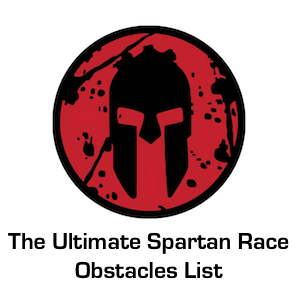 The profile pic maker is traditionally the last obstacle in a Spartan Race. Make sure you think of something cool to do with your face and hands, and carry a little momentum as you leap toward the finish line and find the cameraman. Discouraged moves include baseball slides, cartwheels, or playing human bumper-cars with fellow racers. Sign up for a Spartan Race Now!